VW 8E0919051P. VW 8E0919051CJ. 2002 A4 1.8L L4. 2003 A4 Base. 2002 A4 3.0L V6. 2003 A4 Cabriolet. OEM part number Fit for these car models. Audi A4 and A6 1.9 & Tdi 2.5 Diesel. AUDI A8 (4D2, 4D8) 4.2 quattro 11.98 - 09.02 228 310 4172 0588-719 AUDI A8 (4D2, 4D8) S8 quattro 07.96 - 06.99 250 340 4172 0588-642. VW 8E0919051P. 2002 A4 1.8L L4. 2002 A4 3.0L V6. 2003 A4 Base. 2003 A4 Cabriolet. 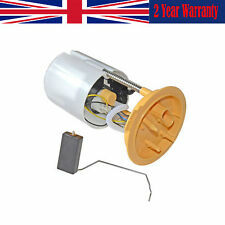 Fit for these car models OEM part number VW 8E0919051BB. [1997-2006]. VW Golf MK IV 1.9 TDI 4motion. VW Golf MK IV 1.9 TDI. VW Golf MK IV 1.9 SDi. [1998-2005]. VW Bora 1.9 TDI 4motion. [1999-2005]. VW Bora 1.9 TDI. 2.0 E Petrol 1990-12 - 1994-07 1984 85 115. 2.6 Petrol 1990-12 - 1994-07 2598 110 150. 2.6 quattro Petrol 1990-12 - 1994-07 2598 110 150. 2.8 E Petrol 1990-12 - 1994-07 2771 128 174. 2.8 E quattro Petrol 1990-12 - 1994-07 2771 128 174. High Pressure Pump FOR Audi A4 8K2, B8 2007-2015 Saloon 06L145612H. Audi A3 8P 2008 2.0T - TSI FWDAudi A3 8P 2008 2.0T - TSI FWD. Audi A3 8P 2009 2.0T - TSI FWDAudi A3 8P 2009 2.0T - TSI Quattro. Audi A3 8P 2010 2.0T - TSI FWDAudi A3 8P 2010 2.0T - TSI Quattro. 2.0 E Petrol 1990-12 - 1994-07 1984 85 115. 2.6 Petrol 1990-12 - 1994-07 2598 110 150. 2.6 quattro Petrol 1990-12 - 1994-07 2598 110 150. 2.8 E Petrol 1990-12 - 1994-07 2771 128 174. 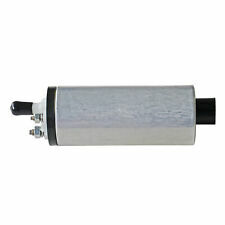 S4 V8 quattro Petrol 1990-12 - 1994-07 4172 206 280. 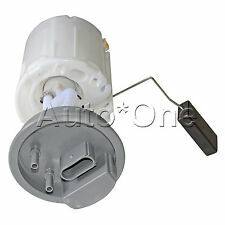 VW 06D 109 309 C. VW 06D 109 309 F. With these parts you can replace your defective parts simply plug and play. OEM Part Number. Our warranty is valid for max. 24 months without mileage limitation. Part number : 8E0919050D. 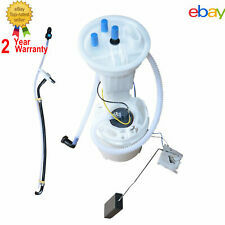 IN TANK FUEL PUMP & SENDER UNIT Audi A4 B7 2.0TDI. All parts are stamped & removal of the marks will invalidate your warranty. In the event that a part is supplied and proven to be incorrect or faulty, we must be notified within 24 hours. AUDI 4D0906091. AUDI 4D0906091C. AUDI A8 (4D2, 4D8) 4.2 quattro 11.98 - 09.02 228 310 4172 0588-719 AUDI A8 (4D2, 4D8) S8 quattro 07.96 - 06.99 250 340 4172 0588-642. 2.0 TDI ENGINES. Mass Air Sensor. Fuel Injector. We are car parts specialists dealing directly from manufacturer to you with over high experience in this market. We make every effort to ensure you get value for your money!IMPORTANT INFORMATION. Mass Air Sensor. Fuel Injector. TO FIT THE FOLLOWING MODELS PART NO: 0 928 400 706. We are car parts specialists dealing directly from manufacturer to you with over high experience in this market. We make every effort to ensure you get value for your money!IMPORTANT INFORMATION. VW 8E0919051AF. VW 8E0919051AG. 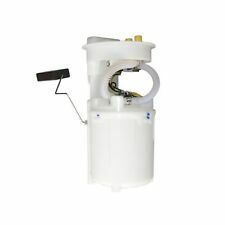 Fuel Pump Module Assembly For Audi A4 2002-2006 1.8L-L4 8E0919051P 8E0919051CJ. 2002 A4 1.8L L4. 2003 A4 Base. 2002 A4 3.0L V6. 2003 A4 Cabriolet. Fit for these car models.